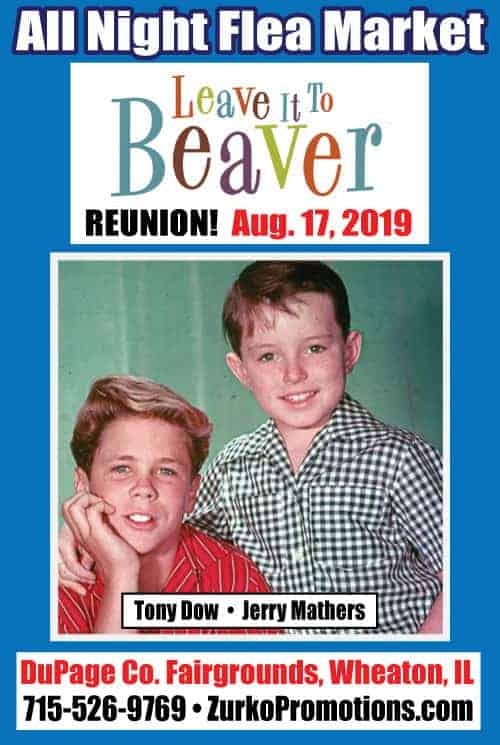 The World Famous Wheaton All Night Flea Market would like to welcome Jerry Mathers and Tony Dow August 17, 2019! “Leave It To Beaver” Reunion! More information to be announced. Jerry Mathers is an American actor. Mathers is best known for his role in the television sitcom Leave It to Beaver, originally broadcast from 1957 to 1963, in which he played Theodore “Beaver” Cleaver, the younger son of the suburban couple June and Ward Cleaver (Barbara Billingsley and Hugh Beaumont, respectively) and the brother of Wally Cleaver (Tony Dow). 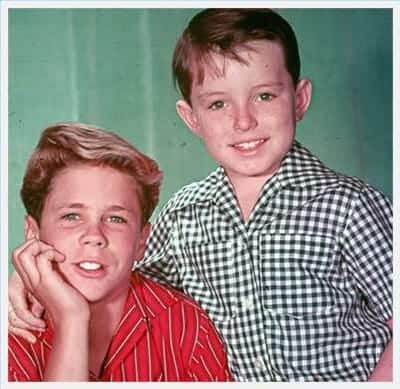 Tony Dow is an American film producer, director, sculptor, and television actor. He is best known for his role in the television sitcom Leave It to Beaver, which ran in primetime from 1957 to 1963. Dow played Wally Cleaver, the elder son of June (played by Barbara Billingsley) and Ward Cleaver (played by Hugh Beaumont) and the brother of Theodore “Beaver” Cleaver (played by Jerry Mathers).